This is photo #20 (of 50) in a series about our life in Brazil. The food here is so wonderful that we rarely miss American products, but occasionally I’ll splurge and buy something that “tastes like home.” My neighborhood grocery store has Campbell’s soup for $5 a can and small bottles of real Maple syrup for $20, but those never tempt me. 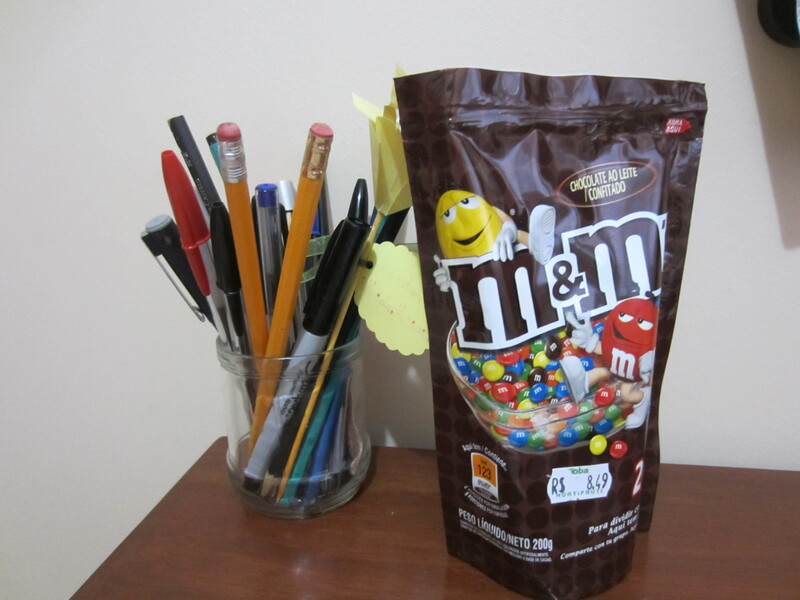 M&Ms are my downfall. This bag cost $4.